Three challenging fingerstyle guitar pieces, with accurate tab and notation. 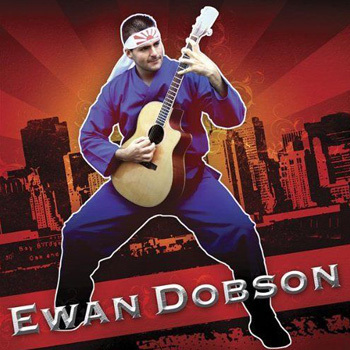 Ewan Dobson’s intricate, furiously fast guitar compositions have been nearly impossible to learn — until now. We’ve partnered with Ewan’s record label, Candyrat Records, to offer you accurate tabs and sheet music for his most popular tunes. Use our amazing interface to view the notation while you listen to the studio recordings, so you can hear exactly how they should sound. It’s the easiest way to learn Ewan’s music.